For this project we'll use Ryder from the Wild Bunch. 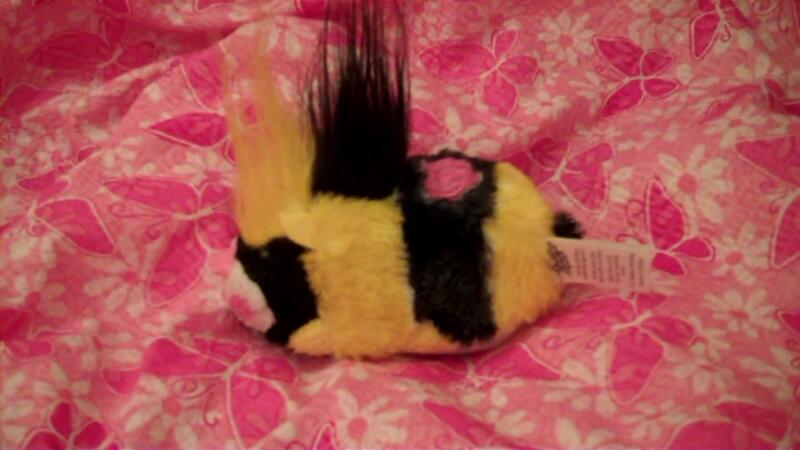 He already has black and white fur so he's perfect to for customizing into a bumble bee. 3 Non-toxic Permanent Markers: Black, Yellow and Pink. 1. First seperate the long white fur from the long black fur. Color the long white fur yellow with your marker. 2. Draw a line across the back of the zhu zhu. Start from where the long black fur ends and draw down on each side. This will be your guideline for the first yellow stripe. Color in the stripe. 3. Draw another yellow line around the back side. I used the edge of the embroidery pattern on the back as a guide. Color the back yellow. Don't color in the tail. We're going to color that black to look like a little bee stinger. *Note: We use yellow first because it's easier to color over if you make a mistake. Also black tends to smudge easier. 4. Allow the Yellow to dry. 5. Now fill in the black. The white stripe in the middle will be colored in black. Be careful not to color in the embroidery pattern on top. We'll color that pink later. 6. Color the tail black to look like a stinger. 7. Color in the heart design on top with the pink marker. 8. Color the back feet yellow. 9. Add finishing touches around the edges of the heart design by going closely with a black marker. Be careful not to get too close and take your time. 10. Color round circles around the cheecks with the pink marker. Congratulations! 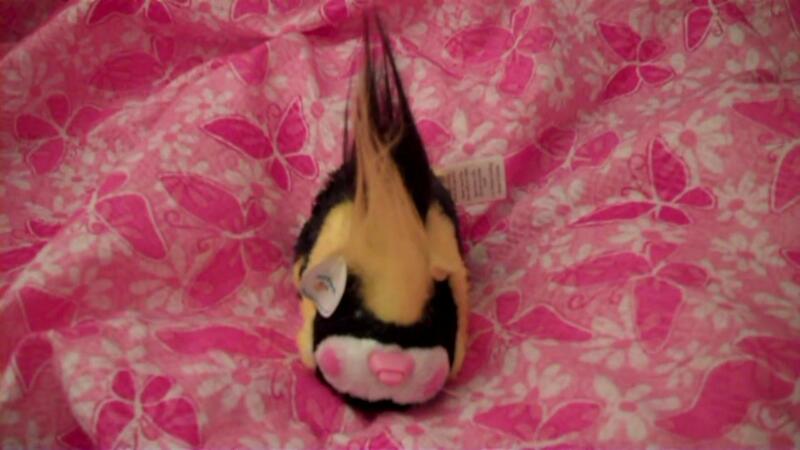 You've made a Bumble Bee Zhu Zhu Pet!